If you or a loved one has been charged with operating a vehicle under the influence, you’re probably wondering what will happen next. In Ohio, if you have a blood alcohol content (BAC) level of .08% or more, you are considered legally drunk and are not allowed to drive. If you’re under the age of 21, the BAC limit is .02%. If you’re a commercial driver in a commercial vehicle, the BAC limit is .04%. It is illegal to drive with a predetermined amount of a controlled substance (i.e., drugs) in the blood. The predetermined amounts are based on levels they feel cause impairment. In Ohio, driving under the influence (DUI) and driving while intoxicated (DWI) are referred to using the term, operating a vehicle under the influence (OVI). 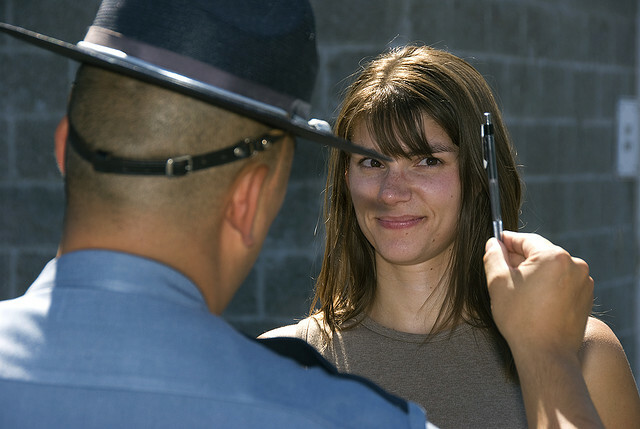 If a police officer suspects that you are driving under the influence, you may be asked to take a BAC test. If you fail the test, your driver’s license will be suspended immediately for a period of anywhere from 90 days to 5 years, depending on how many times you’ve been convicted of an OVI or refused a chemical test previously. If you refuse to take the BAC test, your license will automatically be suspended for 1 to 5 years. This is because Ohio has an implied consent law, which means that if you refuse a chemical test, you are subject to a fine and automatic license suspension. Click here to see an overview of Ohio OVI/DUI penalties. The look back period in Ohio is six years if you submit to a BAC test, twenty years if you refuse, and some cities even have a lifetime look back. The look back period is the length of time that a prior DUI conviction will be factored into your punishment. Using the six-year look back as an example, any prior DUI conviction that has occurred within the last six years will be considered a prior DUI offense. Penalties increase in severity, depending on the number of DUI convictions you have had in those six years. Other factors that can increase the severity of DUI/OVI penalties are a high BAC level or a prior refusal to take a BAC test. The court must set your first court appearance within five days of your arrest. This first appearance is used to enter a plea of guilty or not guilty and contest your license suspension. In order win when contesting your license suspension, you must be able to prove that the officer did not have reasonable grounds of suspecting an OVI, the officer did not request you to take a BAC test, the officer didn’t inform you of the consequences of refusing or failing the test, or you didn’t refuse or fail the test. If you accumulate five or more DUI/OVI convictions in 20 years, you’ll be listed in Ohio’s Habitual Offender Registry. Being on this list means that the public will be able to see your name, date of birth, address, and DUI/OVI convictions. Your information will remain in the registry until you no longer have five convictions within 20 years. The registry doesn’t include out-of-state convictions. If you want to better understand the law surrounding DUI/OVI charges in Ohio, it’s best to speak with a drunk driving attorney in Central Ohio. An attorney who focuses on DUI/OVI cases can educate you about your plea options and help you beat or reduce the charges. Call The Maher Law Firm in Columbus, Ohio today at 614.205.2208 or contact us online for a free initial consultation.